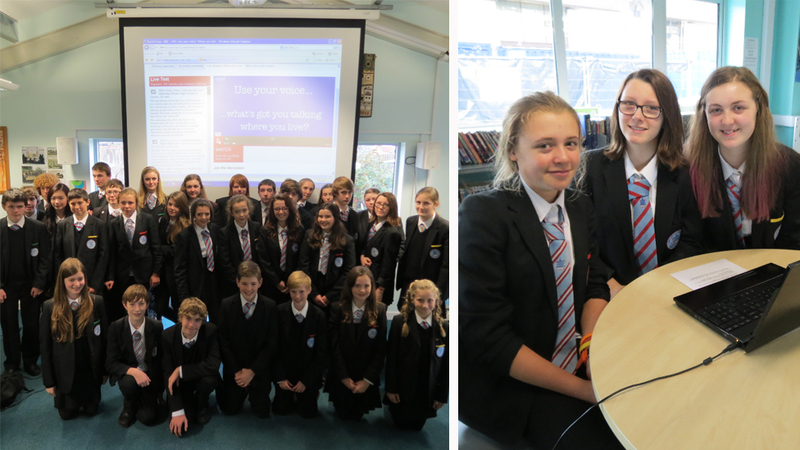 A series of 'online debates', hosted by BBC World Class, is offering pupils around the world a global conversation. 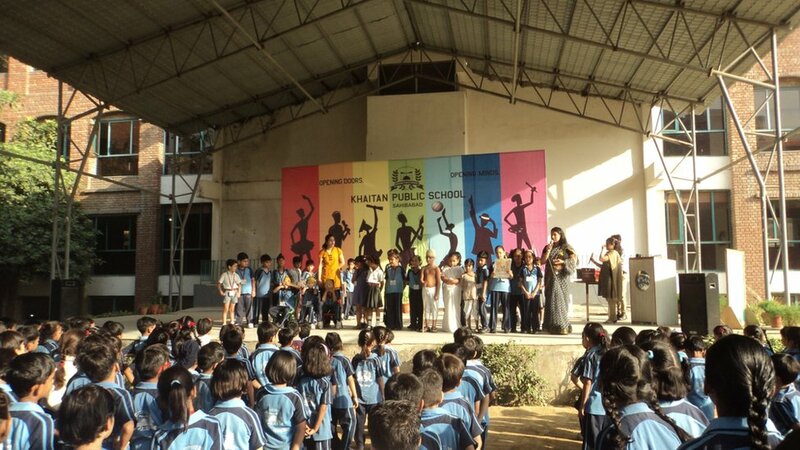 The debates, take place every day during International Education Week (12-16 November) on the theme 'use your voice'. The first forum asked: 'What are the issues that matter where you live?' Students shared their top concerns, and responded to issues submitted by other schools. 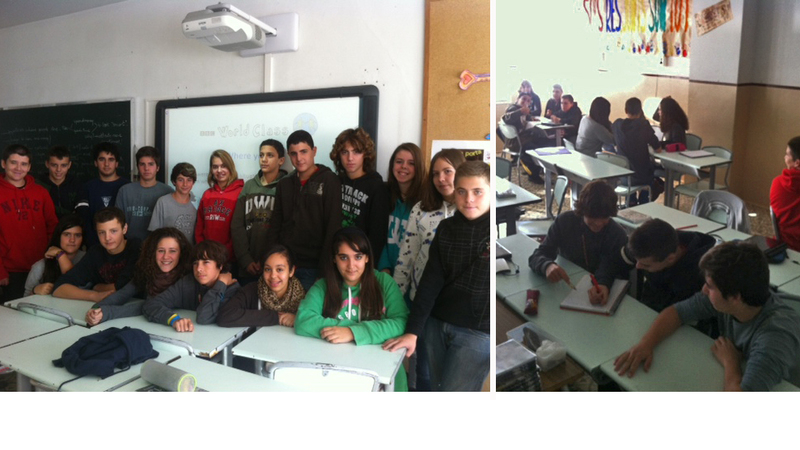 Before long, pupils were engaged in conversation as they discovered common ground. 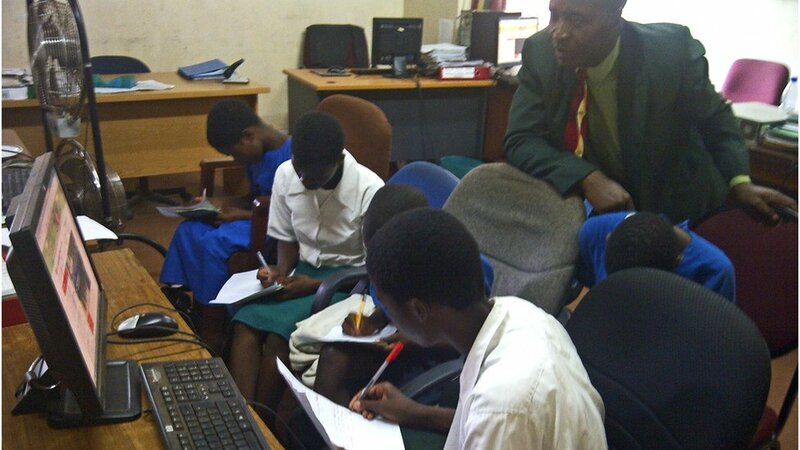 Here, Nkanda Primary in the Mulanje district of Malawi prepare for the debate with support from Plan UK. Upton-by-Chester High School pupils tackled a range of issues, but Molly, Emily and Laura (right) hit a chord with their observation that, "Around where we live in Cheshire, England, there are many people problems involving teen drinking and binge drinking. There is a lot of peer pressure to fit in and people make it seem like it's not a big deal but long term drinking can have some very serious effects." They may have been surprised to see their comments echoed by a school in Malawi. 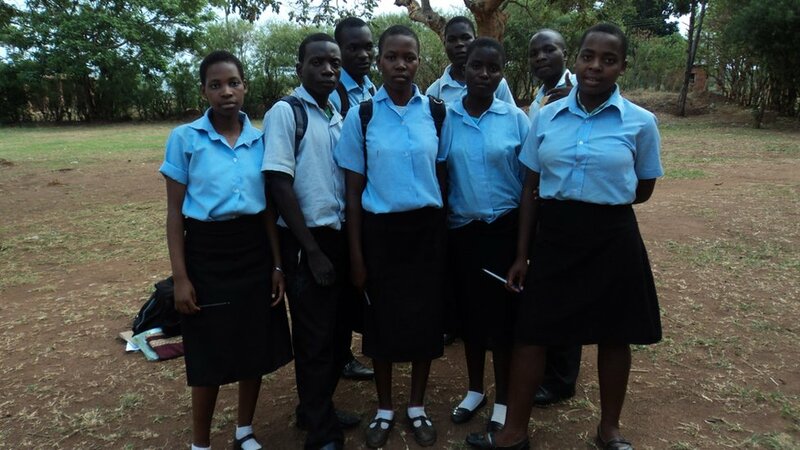 In Chambe Secondary School in Malawi's Mulanje district Peacewell, 16, replied: "The issue of drinking is also very common in Malawi, and our village is no exception. Very young people are usually found in drinking places." Classmate Maria, also 16, added: "This is in most cases a result of the frustrations that these children have from their homes". For pupil Sunidhi at Khaitan Public School in Sahibabad, India, drinking was also a problem - but not in the same way. "A badly laid drainage system is a major issue with open drains that are major carrier of diseases," she said. "The water supply is not of good quality being hard water and undrinkable. Drinking water has to be purchased on a daily basis which just adds to the expenses of a household." Sri Venkateshwar International School in New Delhi, India, commented: "Due to such a large population, people who are qualified to do jobs aren't able to find a job so that they can earn for their family. This is one of the greatest problems that the people of India face." This prompted pupils from another Malawi school, Chitedze CDSS from the Lilongwe district (pictured) to respond directly: "High population growth here leads to scrabbling for limited resources. There are fewer classroom blocks, teaching and learning materials, and shortage of land for farming has led to food shortages, resulting in malnutrition and a high school drop-out rate". Unemployment was also a concern to pupils from Collegi Sagrada Familia in Barcelona, Spain, who introduced a major European news story into the debate. "This is happening in Spain: banks remove people from their homes if mortgages cannot be paid, but if people (unemployed, poor people) are removed from their homes, where would they go?" Washwood Heath Technology College in Birmingham, UK, replied: "You have bankruptcy whilst we have recession. In the UK it is now becoming very difficult to get a job even if you have the qualifications." Concerns about unemployment were voiced by other schools as the debate went on. With pupils taking part in four continents, there were plenty of opportunities to see what others had to say. Schools sent in photos of students hard at work as they talked about the key issues where they lived. 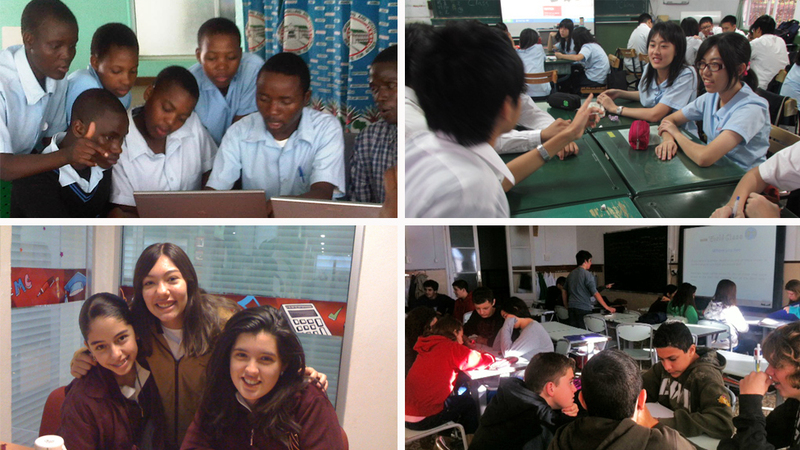 Clockwise from top left: Chitedze Community Day Secondary School in Malawi, Wunshan Senior High School in Taiwan, Collegi Sagrada Familiai in Spain, and Colegio Newland in Mexico. 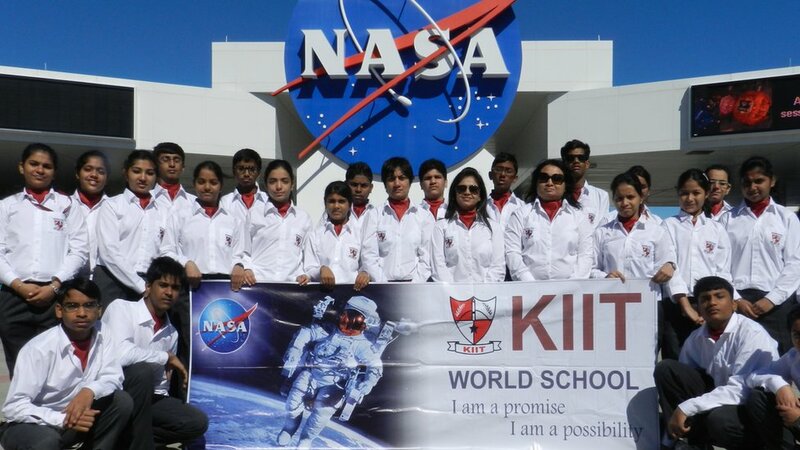 And Harmeen at the KIIT World School in New Delhi, India sent in a magnificent snap of a recent class visit to the National Aeronautics and Space Administration (NASA): "During our recent visit to USA, we learned so much from a different culture and society. Isn't life about learning from each other?" he asked. Pupils across the world will have four more chances to learn about each other, starting with the next debate on Tuesday 13 November, when students will be invited to 'use their voice' to tell the world about issues in their schools. International Education Week is run by the British Council.